Bloodlines follows fraternal twins Anso and Ava at the very start of magic itself. When Anso discovers there’s something different about him, something inhuman, he knows he must keep it a secret. His father, his entire village would disown him, or worse. There’s one person, however, who he cannot hide from, his twin sister, Ava. Ava sees right through Anso’s distress and promises to keep his secret while yearning for a power of her very own. As Anso explores his newfound abilities, he also finds a friend with a similar problem. Could there be more like him? This is the story of how an ordinary boy became a legend, a leader, the sister who stood by him through it all, and the best friend who taught him to embrace his differences. Fans of X-Men, Harry Potter, and The Mortal Instruments will enjoy this series starter. 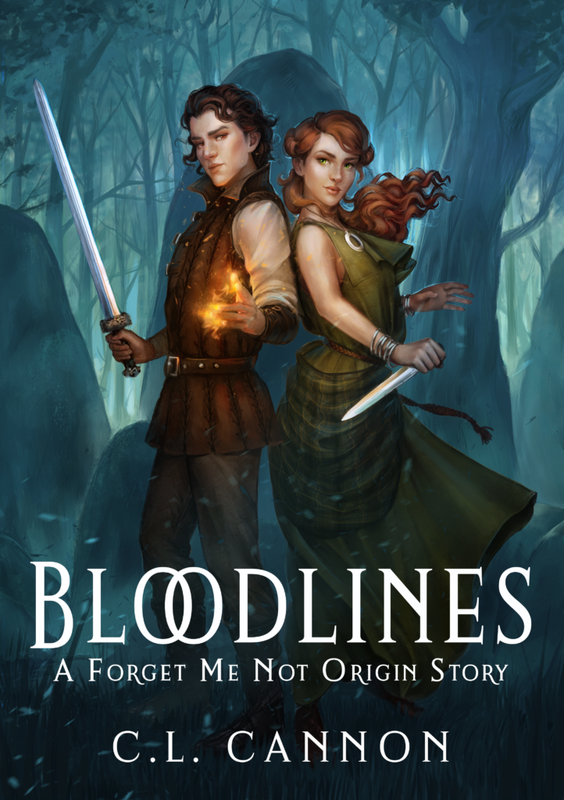 Buying info: You can pre-order Bloodlines for just .99! C.L. Cannon is a wife, mother, book nerd, publisher, author, designer, editor, and just about any other thing with an -er sound at the end! 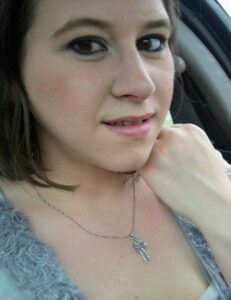 She loves music, and frequently sings in the car, much to the dismay of the other cars surrounding her! Her favorite thing to write about is the relationship between friends, both romantically and platonically. She’s also a huge anglophile! She enjoys networking with other authors and making new friends! Withhold is only $0.99 on release day! 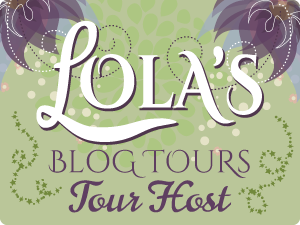 There is a tour wide giveaway for the book blitz of Withhold. This giveaway is US Only. One winner will win a $50 Amazon gift card! Emory Fae enjoys leading a quiet, normal life. That is until two mysterious, and handsome soldiers show up at her apartment, and the life she knew is instantly whisked away. Memphis Carter and Brokk Foster come from the magical and war ridden world of Kiero, and upon Emory's arrival she will discover she is the long-lost heir to the Royal Line and is thrown into the Black Dawn Rebellion with a dynamic role to ignite the rebels and reclaim her throne. Brokk didn’t need to be told twice. Springing from the ground like a demon from the darkness, he pulled his curved twin blades out in seconds as he cut the men off. The group stopped, looking pale in the moonlight and extremely exposed. In a flurry of movement, his friends dropped from the surrounding trees, all dressed in the same camouflage, their weapons at the ready. A mad cackle broke the guard’s momentary trance, and they tried to run. Chaos ensued. Brokk threw his blades at the nearest tree—a satisfying thud sounded as they found their mark. He ran, eyes fixated on the two guards that had broken away from the fight ahead of him. It was laughable really, just how much they thought they had a chance of escaping. They had no idea who they were up against. The familiar popping and breaking of bones shivered through his body when animal instinct took over as the wolf inside him did. The ground shook from his colossal paws, golden fur rippling like a beacon in the night. His growl rumbled like thunder, and for a split second, he forgot who he was. All that mattered was that he took his targets down. The guard’s deaths were much swifter than they deserved. The last guard was openly crying, now forced to his knees, hands shaking behind his head. Brokk almost felt sorry for him. Almost. Up close he was much younger than Brokk thought, fear replacing the guard’s bravery now. Memphis’s icy blue eyes cut into his, and he didn’t have to say anything for Brokk to understand. Telekinetic or not, his friend wore his heart on his sleeve. They were all on edge and who could blame them? Six years of hiding. Six years of losing this war. Brokk swallowed back his thoughts, wearing his mask of oozing confidence and anger. “W-who are you?” The guard’s voice squeaked out several octaves higher than it should have. Nyx kicked him in the gut, making him wheeze in pain and gasp for air. Memphis crouched down in front of him, his long blond hair tied back, revealing his severe features. They all bore scars, some more visible than others. Mallory McCartney currently lives in London, Ontario with her husband and their two dachshunds Link and Lola. Black Dawn is her debut novel, the first in a series. When she isn’t working on her next novel or reading, she can be found dog grooming, book shopping and hiking. Other favorite pastimes involve reorganizing perpetually overflowing bookshelves and seeking out new coffee and dessert shops. ​There is a tour wide giveaway for the blog tour of Black Dawn. Three winners will each win a signed copy of Black Dawn. Open International. I read this before I read the other three. I was immediately hooked. I wanted to know the story behind Paul Colt and his dad. I needed to figure out what was happening with Nora Brice. If you've read the other ones first, then you know that this story is how Gemma's parents fall in love. There is just enough mystery to keep you guessing, and turning page after page. I love that Kenechi switches points of views between Nora and Paul. This was sweet. It was short (my only complaint). And it does lead you to understand some actions Paul takes later on in the series. Love is such a powerful motive. But grief, anger, guilt and shame are just as powerful enough to make you forget why you're fighting and who you're fighting for. This is a boy meets girl story in which you already know the sad fate. But this beginning shows you just how powerful Gemma is. If she is anything like her parents, and I'm not talking about her amazing abilities, but the strength and goodness of her mom and the fierce protectiveness and loyalty from her dad. What more could you want in a heroine? "There was nothing unusual about the night everything changed. No flashing lights in the sky, no searing fire in my belly; no sign whatsoever to suggest the shift which was to come…Nora Brice did strange things to me. Strange and awful things…"
Paul Colt has a problem, and it is not one most teenage boys face. Yes, he likes a girl; one he’s pretty certain he’ll do foolish things for, given the chance. But he can’t go after her, or any other girl for that matter. That’s what he gets for being an Averter; forced to toe the line for the propagation of the collective. He knows some rules are okay to trifle with, and there are some which should never be broken. The gravest of them all? This is the story of how Paul breaks that rule. This prequel novella to the Mentalist Series can be read before or after Aversion, Book One of The Mentalist Series. Kenechi lives in London and enjoys writing short stories, paranormal and fantasy fiction (some of which she posts on her blog - http://caeblogs.wordpress.com). She also hates the cold and hopes to one day figure out how to hibernate in winter. Ahh book 2. The second book of a trilogy is usually a little more slower. We get to know more about Gemma, and more about the world of Mentalists. In the previous book, there was enough mystery to keep us interested. In Sentient, we started getting bombshells! So much happens in this one, and I'm not going to spoil anything!! Just trust me when I say that the second book of ANY TRILOGY are usually my favorites (Catching Fire for Hunger Games, and the Scorch Trials for the Maze Runner just to name a couple). Gemma and Russ, we learned at the end of Book One, are Sentient Twins. This would explain why they both are pulled towards each other. She learns more about some secrets her dad kept from her, and a little more about why she's "special." In this one, we meet quite a number of people that pull the story along. There are more actions, but also a lot of waiting around for the other shoe to drop. It's this waiting for the other shoe to drop that drives Gemma. She's more anxious and more on guard. In this book, we also get to know more about Russ. Russ has become my favorite! He stays grounded, stays calm, and is the voice of reason to Gemma's runaway thoughts. Together, they realize the strength they have. Apart, well.....apart, Russ is still the voice of calm, and Gemma is still anxiety filled. Although she's the "special one," and the one with the abilities, you realize it's Russ that grounds her, and allows her to focus on what really matters. Chasing bad guys, fine. Giving bad guys a taste of what you can do when you put them together? Priceless. What more could you want in a Sentient? . *I received this book from the author in exchange for a review. All thoughts and opinions are my own. On her first day of becoming an official “Averter,” she feels like she messed it up because the person whose mind she was controlling, was supposed to forget about her. Only he doesn’t. And he’s not just any person, he’s the school’s tennis champ. And he starts to follow her around, and starts asking questions about who she is. This series was so great that I ignored my family that was visiting for Spring Break week! It was quick and fast paced enough for me to keep turning the pages – er swiping the screen – and well written enough that I was mesmerized by Gemma, and whatever she actually is. I’ve read enough YA paranormal to already know how *most of them turn out. But this series? The concepts weren’t anything new – Empath, people with abilities, people with abilities being chased by powerful people, but I like how Kenechi Udogu paced this book, and wrote out Gemma’s 15 year old thoughts without sounding too cliché and too cheesy. Yes, there was some teenage angst about not fitting in, but she was mature enough to understand the whys of their situation. Any 15 year old would have cause to rebel, but Gemma doesn’t. There is loyalty in her father, faith in what she is, and what she’s meant to do, and enough strength to question those loyalties, her abilities, and who she could become. You are some kind of special, Gemma Green, and not just because of all these things that people say you are or aren’t. This was my first foray into your world, and I can say, you are definitely not an aversion!